On the 10th October 2017, a ceremony was held at the WHO regional office in Manila, The Philippines, to celebrate the elimination of lymphatic filariasis (LF) in Cambodia. It is an enormous achievement by the Cambodian health system which has been recognized across the world. Here, the authors of a new research article published in Infectious Diseases of Poverty tell us about this momentous occasion. Handing over ceremony of WHO certificate for the elimination of lymphatic filariasis as a public health problem in Cambodia. Lymphatic filariasis (LF) is a neglected tropical disease (NTD) caused by nematodes (roundworms) and indirectly transmitted from human to human by mosquitoes.The roundworms live and develop in the blood and lymphatic system of humans where they may block the free circulation of lymph liquids. A LF infection may exist unnoticed for long periods of time. However, chronic and long-lasting infections may lead to severe and debilitating symptoms such as Elephantiasis, the swelling of lower or upper limbs; lymphedema (swelling of the feet, hands, breasts, scrotum and others regions) and hydrocele (swelling of the scrotum). LF patients may be severely debilitated and, in endemic areas, LF represents a severe public health problem. The WHO certificate for elimination means that the number of infected people is extremely low and the disease has not posed any public health problem for the last 8 years. How could such a success be achieved? Looking back in time may provide some answers. Activism for improving the well-being and health of the most vulnerable in Cambodia triggered the start of this success. In the mid-1990s, Médecins Sans Frontières (MSF) was highly active in Cambodia. In the Northern Kratie and Stung Treng provinces, hospitals were constructed and rehabilitated and the quality of health services greatly improved. During a visit to the Sturng Treng province, the late Dr. Carlo Urbani, project leader at MSF in Cambodia and the first victim of SARS in 2003, diagnosed several LF patients with severe elephantiasis. Dr. Urbani convinced MSF, WHO in Cambodia, and the Ministry of Health that these patients were only the peak of the iceberg and further community-based investigations were warranted. The Tropical Diseases Research Centre – Special Programme for Diseases of Poverty provided a grant to conduct an epidemiological assessment on the importance of LF in four Northern provinces in Cambodia. In the investigation, published in 2004, more than 200 suspected cases of severe LF with elephantiasis were reported and two parasite species, Wuchereria bancrofti and Brughia malayi, were identified as endemic. The findings confirmed the public health burden of this nematode infection. Crucially, the study provided an excellent opportunity for on-job training of young scientists who could then recognize the disease. The data from the study convinced the initiative for the elimination of LF in Southeast Asia to invest in the control of LF in Cambodia. The international network provided mapping techniques for LF, regular mass-drug administration of anti-LF deworming drugs, detection of patients with severe LF and management of the complications. The first large scale interventions were conducted in 2005 and the last occurred in 2015. Without a pronounced and clear political movement there would have been no progress on NTD control in general, and for LF in particular, in Cambodia. 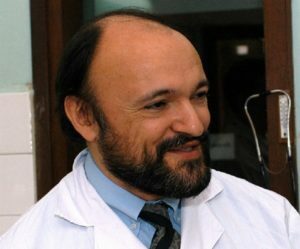 The Ministry of Health had assigned the task to the CNM where the control was integrated into the Helminth Control Unit, lead by Dr. Sinuon Muth. Before her retirement in October 2016, Dr. Sinuon Muth received a Neglected Tropical Disease award from USAID for her engagement in the control of NTDs and the achievement of her team. She was also a finalist in the Leadership Award of NTD Summit 2017 in Geneva (http://unitingtocombatntds.org/ntd-summit-2017/women-in-focus-awards/leadership-award-2017/). As confirmed by the WHO certificate, the LF roundworm parasites are now very rare in Cambodia today. However, the mosquito-vectors are still highly abundant so it is possible that the parasite could be re-introduced in the future e.g. by LF infected patients from endemic countries. Therefore, continuous surveillance is crucial, but this endeavor is challenging as no clear strategies, tools, guidelines or funding are currently available. The successful elimination of LF as a public health problem in Cambodia has a lively history. It is difficult to identify a single factor which may have led to the success but instead it is a combination. Key people realized the importance of the issue and fought to bring it to the attention of all necessary stakeholders. In Cambodia, other NTDs are still of public health concern, such as Mekong schistosomiasis and soil-transmitted worm infections (helminthiasis). We need to remain active and moving to achieve the next ambitious goal. 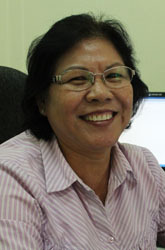 Virak Khieu is National Helminth Control Program Manager of the National Centre for Parasitology, Entomology and Malaria Control, Ministry of Health, Cambodia. Dr Khieu received his Medical Doctor degree from the University of Health Sciences, Phnom Penh, Cambodian and his PhD in Epidemiology from the University of Basel, Basel, Switzerland. His interests include research and control of Neglected Tropical Helminthiasis, particularly Lymphatic filariasis, Schistosomiasis mekongi, Teniasis, STH, Strongyloidiasis, Liver and Lung Fluke.